Imagine a totally organized life. 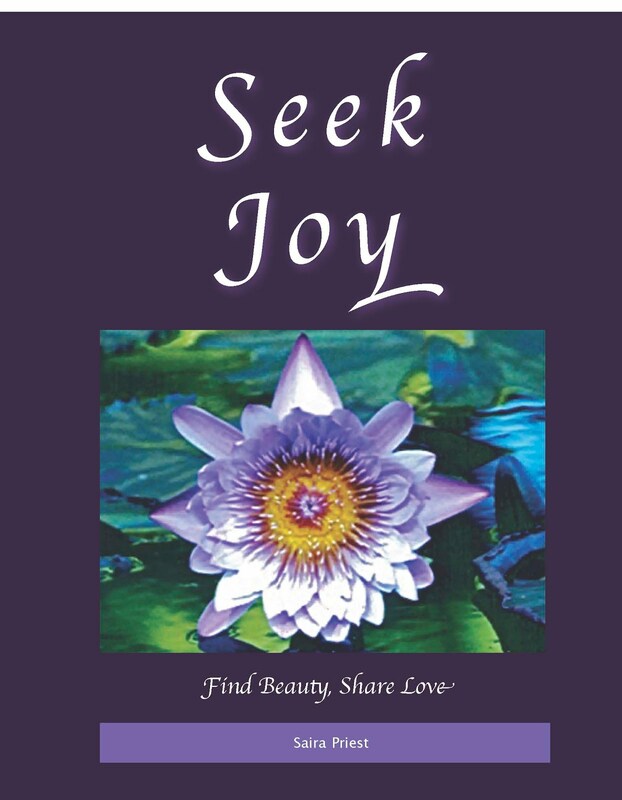 Imagine a free and clear life of ease and joy. Are you overwhelmed by how to get from where you are to that imagined place? 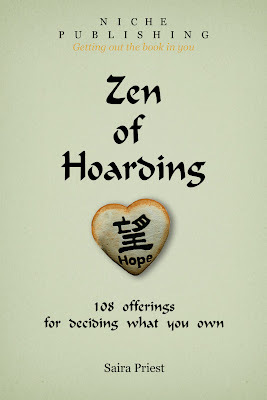 Zen of Hoarding provides 108 offerings on where to begin and how to progress along your path. You have found help for hoarding behavior. If living with clutter has ruled your life or the lives of your loved ones for too long, and you are ready for positive change towards a simpler and more meaningful life, then reading Zen of Hoarding will help. Feel a stronger connection with yourself as a kind friend walks hand-in-hand with you along the path from understanding hoarding behavior to finding your better self under all the clutter. With kindness, humor, practical examples and honest reflection on her successful journey to clearing the clutter, Saira helps you find your own path to the ease of a more organized, simplified and satisfying life. You can reclaim your life, too. Zen of Hoarding is the gentle friend that will guide you simply down the path. The book leads you through the causes and effects, toward the long-lasting solutions for healing the hurt of hoarding, ultimately arriving at clarity. Reclaim your life and fulfill your purpose with passion by clearing the clutter. Gift this book to yourself or to someone you love. Start the gentle conversation and let the healing and clearing begin. Click for Instant Download. Read it Today! Clear the space between the clutter and your calling. “Zen of Hoarding” is unlike any other organizing or hoarding book you have ever read. First of all, did you know that 6 to 10 million households suffer from hoarding? It isn't always the horrible event you see on TV, it touches many Americans in their homes and daily lives. The book takes you through 108 offerings. Not only is hoarding addressed, your whole way of thinking is evaluated. “Zen of Hoarding” isn't an instructional manual or a series of to-do lists. It is a complete life guide. I recommend this book to anyone, even if you don't have a clutter problem. The way we value ourselves and our stuff is a skill we can all improve upon. Don't let the title fool you, this is a must-read for anyone who wants to change their time, home or even just their way of thinking about their daily activities. Zen of Hoarding is a book infused with light-hearted spiritual wisdom, offered in koan-sized pieces for meditation. Each offering provides a thought for reflection as we unravel the mysteries behind our habits of hoarding. Saira Priest takes the stigma and shame out of this issue we call "hoarding" and offers using mindfulness, starting where we are, to gently guide ourselves back to the EASE of living. Zen of Hoarding strips the labels and stigma of hoarding and unearths what lies at the heart of our decisions regarding things. Saira Priest reveals the emotions behind the things we hold onto long after we are done with them, and gently nudges us along as we find the courage to let go. In her journey with clutter, Saira found lasting ways to clear the clutter and change her habits as well as help her family to live a clearer, easier life. You, too, can free up time to do all the exciting things which define to you what it means to be truly alive. Keeping only what serves you to find your passion and fulfill your purpose. Hoarding affects millions of people in the United States and around the world. The families and communities that are also impacted increase that number exponentially. Hoarding is difficult to understand and even more difficult to change. People who hoard need understanding and compassion as they work to make change in their lives. Family members of people who hoard and communities need insight to be helpful to their loved ones. “Zen of Hoarding” is a book written for people who hoard by a person who knows what it is like to hoard. This is the book’s strength - the author has personal experience with hoarding, she speaks from a place of knowledge. Ms. Priest understands personally how people who hoard experience difficulty in decision-making and attempts to change their lives. Her own experience of hoarding provides insight, informs her writing and offers the possibility of change. “Zen of Hoarding” offers insights that can be helpful for mental health professionals, professional organizers, social workers, and others who work with people who hoard. This book provides a glimpse into the challenges faced by people who hoard which can offer understanding for professionals to more effectively provide help and compassion. “Zen of Hoarding” is written in manageable and easy to read sections. If you have only 5 minutes each day, you will find the short passages to be informative and accessible. The author not only offers practical advice but also provides support and encouragement, hope that change is possible. I recommend this book to people who hoard and their family members. I believe you will find insights that will help you make positive change in your life. Whether you have habits of hoarding or you are a loved one struggling to understand and help someone else who does - either way - Zen of Hoarding is a gift. Order your copy today! Find us on Amazon or Select from one of your other favorite retailers: Barnes & Noble, iTunes, Kobo, Smashwords, Google Books and many others. By Popular Demand: SECOND EDITION soon to be released! Free bookmarks with every order! CLICK THE AMAZON LOGO to Download Now and Read it Today! Click above to download "Zen of Hoarding" from BARNES and NOBLE! SECOND EDITION soon to be released! U.S. Shipping Addresses Only. Free bookmarks with every order! Zen of Hoarding: 108 offerings for deciding what you own. If We Were . . . Copyright 2012 Niche Publishing & Marketing . Simple theme. Powered by Blogger.